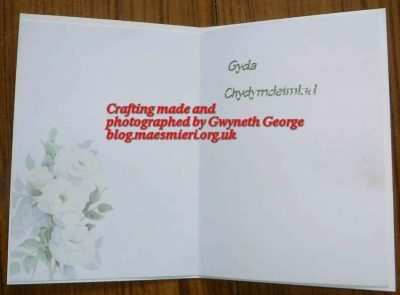 Last month I published a post about a sympathy card I’d made for a family in our neighbourhood and I said I’d have to make up a few cards ready for the sad times when such a card is needed. 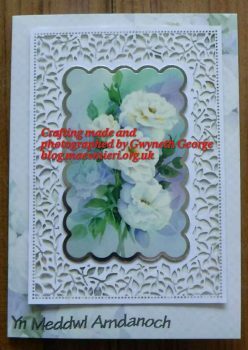 Well a few days ago, over a period of a couple of days, I had a little cardmaking session and my makes included some sympathy cards. 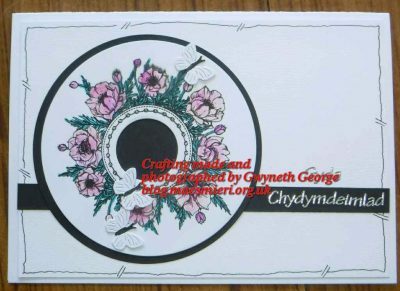 So I thought I’d separate out the sympathy cards into a blog post of their own snd show you those today. 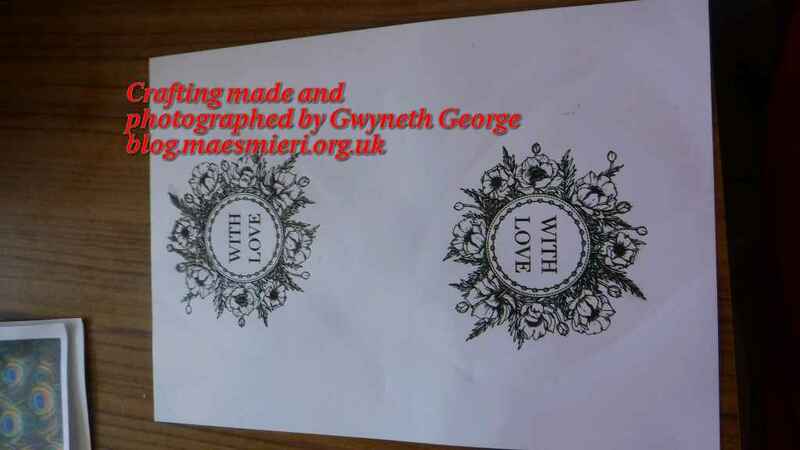 When I showed you the results of my latest screen printing the begining of this month I included a couple of floral wreaths printed in black, where the masking tape over the wording had come off when washing the mesh between colours and so I had printed them out with words I didn’t want in the centre. Well the first thing I did was get my round Duo Dies and cut the centre out of the print, as well as cut the print itself as a circular panel. I coloured just the leaves in green with Spectrum Noir Sparkle Glitter Brush Marker on one, and for the other I coloured the leaves using a green ProMarker and the flowers using the Sparkle Glitter pens. Both are made on a 300 gsm white A5 card base and are layered with a white textured cardstock as well as using black cardstock for a layer and a strip over the white ribbon..
For this one I also used a piece of white ribbon (that came wrapped around some pillowcaces) on the card. The greeting on the card above means A Word Of Comfort. 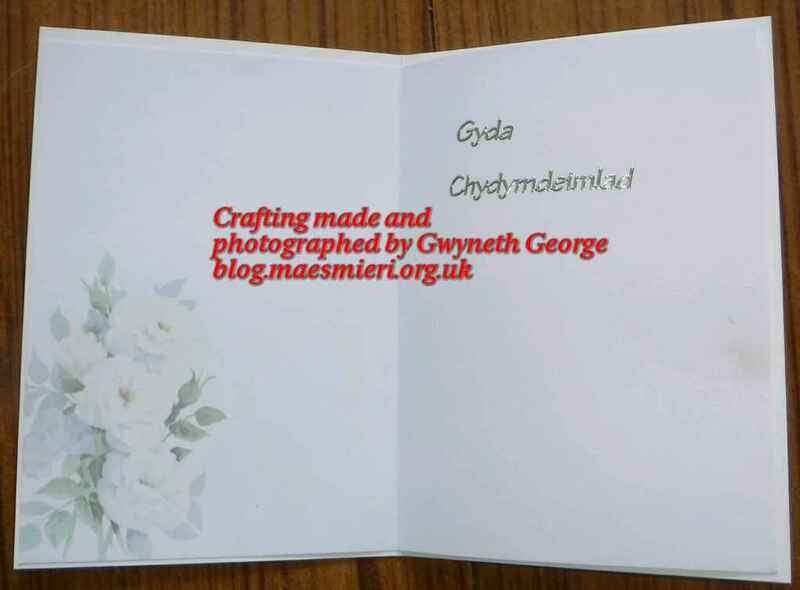 And on the card below the wording Gyda Chydymdeimlad means With Sympathy. 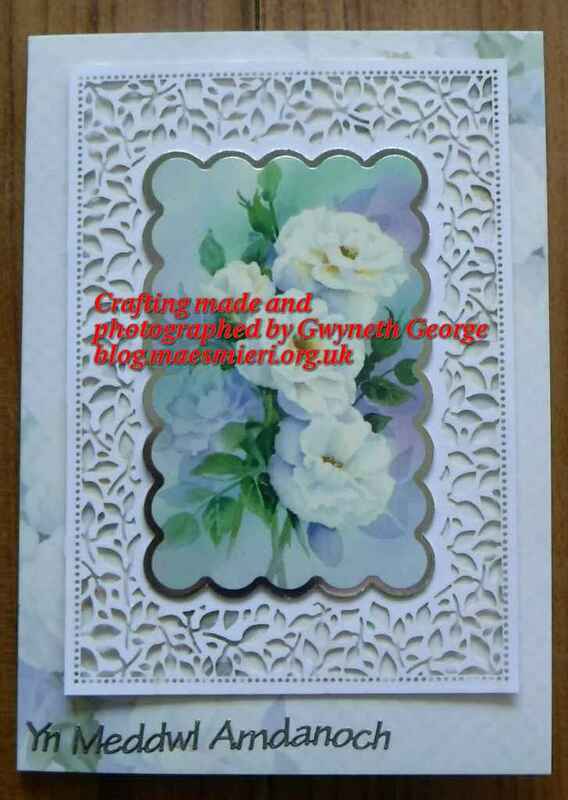 The butterflies on this card were die cut using a free die that came on a tattered lace magazine and simply separated drom the rest of the cut. 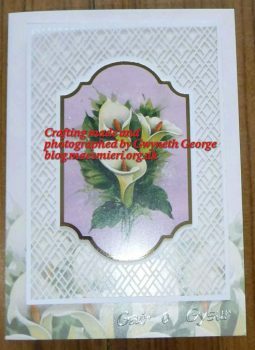 After these two I went back to the same pack of crafting goodies from Hunkeydorey that I’d used for the Sympathy Card last month. Both have a filigree frame and peel-off greetings. 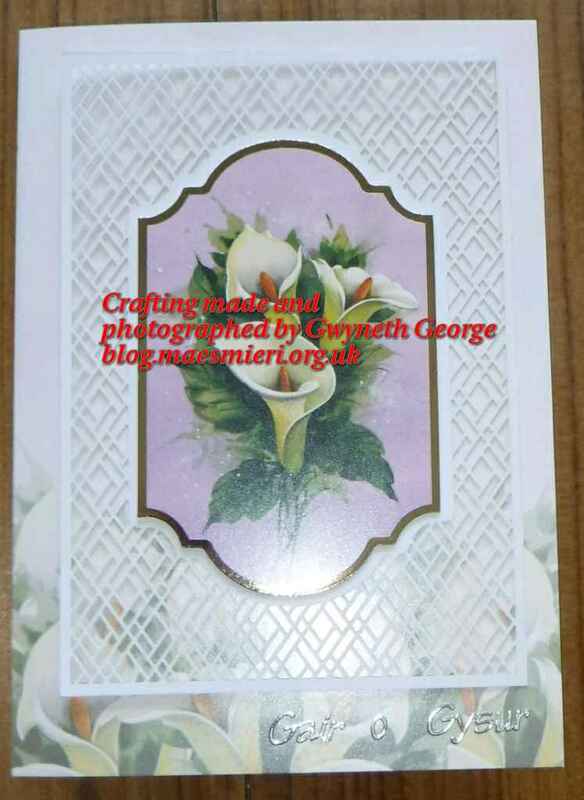 This one has tge greeting Thinking About You and also has a matching insert with the sentiment With Sympathy on it. 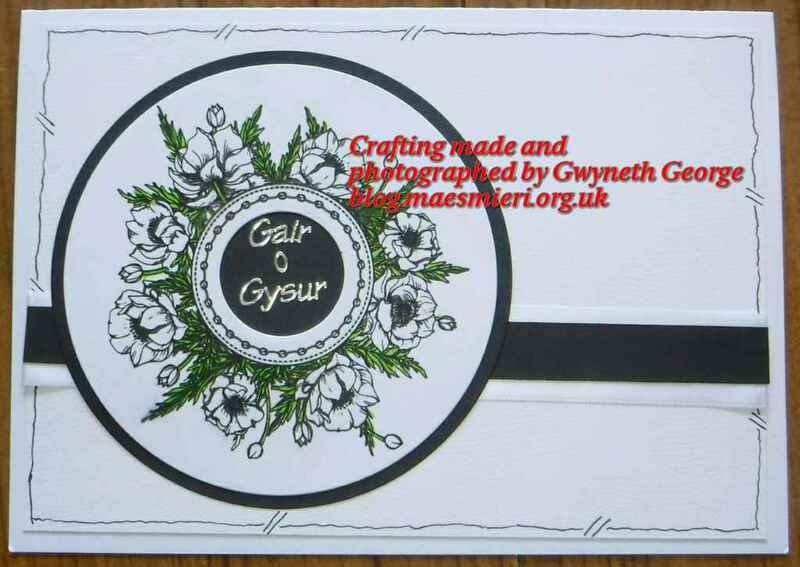 This one simply has the greeting Gair o Gysur, which means a Word of Comfort on it. 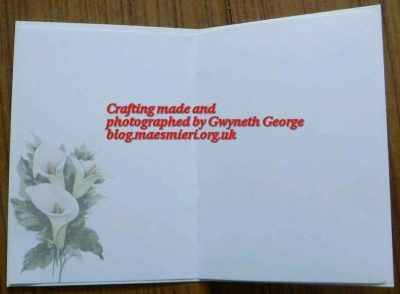 But I’ve not added a greeting to the insert of this one yet. I’ll do another post with the other cards in before long. Just want to make sure that the ones that are for a specific person have been received first. Beautiful cards Gwyneth, I love the screen printed ones in particular. 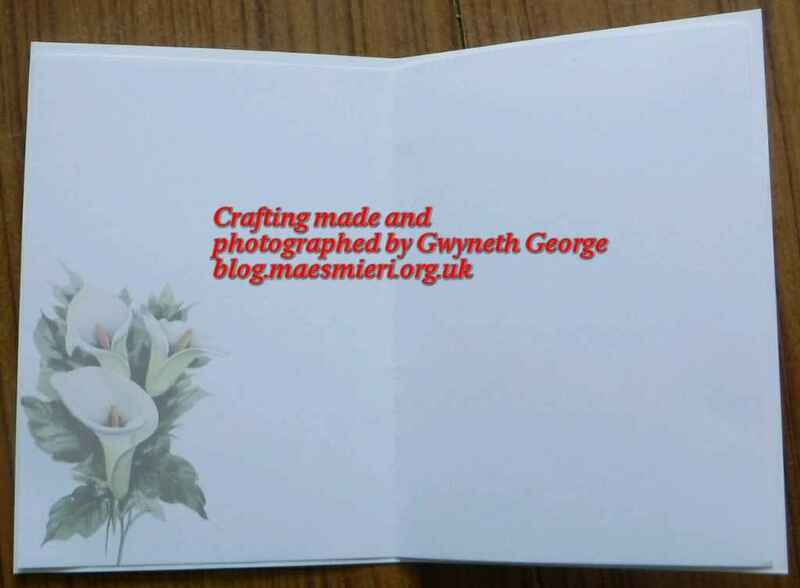 These cards are often so difficult to make at such a sad time, so I always like to have a couple ready for when needed rather than making them at the time.